1. The first tip on how to buy gold states: precious metal just like any investment mechanism carries its own set of risks, namely, price fluctuations, theft, loss or overleveraging. It’s important to realize all these factors before investing in it. Do not invest more than 5-10% of your entire portfolio in gold market. If you invest more, you are breaking the main diversification rule and might risk losing a lot of money. 2. Understand all existing investing mechanisms that will essentially help you decide how to buy gold. Get yourself educated by searching online and reading some books on how to invest in gold. Do not listen to family members or colleagues on how to buy gold – what’s right for them, might not be right for you. 3. Do not waste your money on jewelry of numismatic coins. All these are overpriced and are prone to ever-changing and volatile jewelry and numismatic markets that are driven by scarcity, rarity and grade factors. Our “how to buy gold” tips have nothing to do with jewelry. 4. Physical bullion coins and bars are the best way to go for some investors who prefer the peace of mind of owning a solid piece of insurance against inflation and national financial crises. You can buy gold bullion bars or coins online or by visiting your local bullion dealer. 5. When thinking how to buy gold, only go to trustworthy dealers with established reputation and years of trading experience. Search online, read customer reviews and check out our articles on who provides the best gold bullion prices. 6. Buy for survival purposes. Some experts recommend you buy some smaller size coins as a safe hedge for catastrophic events and national emergency situations. These could be bartered for food, housing and emergency supplies when paper money becomes obsolete. 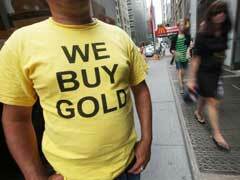 This is perhaps the best how to buy gold advice we can give you! 7. Consider precious metals certificates. Paper money is a great option for people who do not want deal with a hassle of storing their own physical yellow metal and worry about its safety. Certificates allow them to buy into the value of the metal without taking physical possession of it. 8. Analyze yellow metal mining stocks. It definitely takes some technical knowledge and precious metals market comprehension to analyze potential stocks to get into. However, some investors invest a small portion of their investment portfolio into mining stocks that track financial performance of specific mining companies. 9. ETF’s might be a solid option for some precious metal investors who do not have the knowledge or/and time to analyze mining stocks. Such ETF’s are funds who specialize on various precious metals investing mechanisms. Some track the spot price of gold, others pool money to invest in mining shares, while others do a little bit of everything. It takes a little bit of knowledge which gold ETF to invest into but some of the most popular ones are Sprott Physical Gold Trust ETV (PHYS), ETFS Gold Trust (SGOL), iShares Comex Gold Trust (IAU) and others. 10. Set realistic expectations on your goals of how to buy gold and do not overextend yourself by getting into debt. The yellow metal is not the ultimate investment you should put all your money into but a necessary component of every solid investment portfolio. Wondering how to choose gold? If you need more advice on how to buy gold, scroll over and check out our articles on this topic.